In 1994 I was thrilled to be invited to join a new 24 hour network called the Golf Channel. It was the best decision of my professional life. I was privileged to host the very ﬁrst show when Arnold Palmer and President Bush ﬂipped the switch to ‘turn on’ the Golf Channel in January of 1995. I worked alongside the likes of Jennifer Mills, Dwayne Ballen, Tom Nettles, Mike Ritz and Kraig Kann, part of the original on air crew, to help build this upstart network into what it has become today. I take great pride in that. However, this week’s Charles Schwab Cup Championship will be my last event at Golf Channel. After 21 years my contract is not being renewed. I am saddened by this, but not shocked. The television industry is going through tough times right now. Many talented people are losing their jobs because of budget cuts. I just happen to be one of them. I will certainly miss the sport of golf. I will miss the people in the sport. Mostly, I will miss the people I worked with. 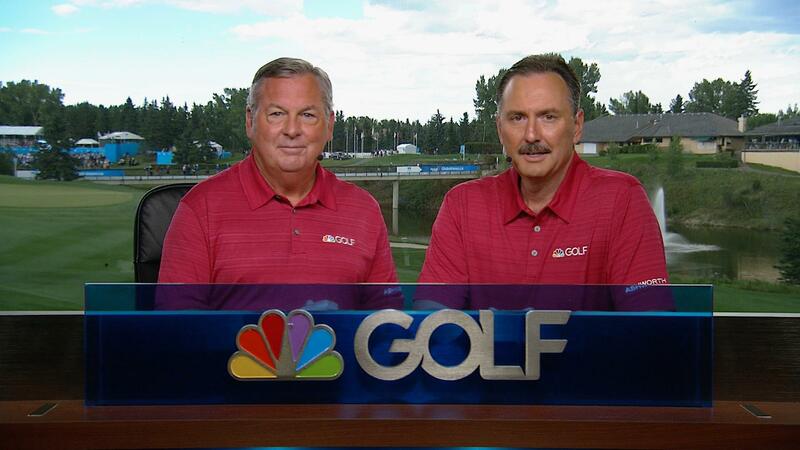 The Golf Channel has been like family to me. My family when I’m away from home. I cherished the dinners and the ‘hangs’ with my guys on the road. They know who they are. If I try to name all the people I’ll miss seeing on a regular basis this would be a very long letter. While I’m sad this terriﬁc part of my life is coming to an end. I know this has happened for a reason. I know there’s a plan for me. I’m actually looking forward to seeing what the next chapter is going to be. I have been blessed beyond belief to have spent 21years with Golf Channel. I have gained friends and memories for a lifetime. It has been a great ride. Miss you Brian – one of the best golf commentators you could wish for. Golf channel’s and audience’s loss. Wish you the very best.